The Federal Government has released N16.8 billion to settle outstanding salary arrears of staff in the countryâ€™s tertiary institutions. 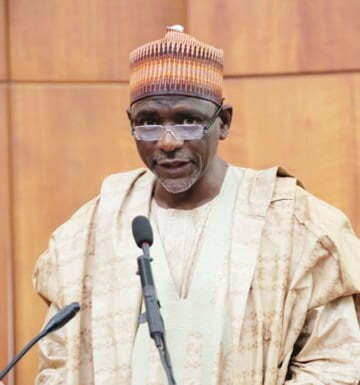 Malam Adamu Adamu, Minister of Education, disclosed this during theâ€œSixth Edition of the Ministerial Press Briefingâ€™â€™ in Abuja, NAN reports. He said that disbursement is ongoing through the Office of the Accountant General of the Federation to solve issues and demands raised by ASUU and ASUP. Adamu said that the government had resolved all issues and await the academic unions to also call off their strike in the coming days, especially ASUU and ASUP. But according to the Minister, the Federal Government has reached agreement in the following areas: Review of Polytechnic Act; government awaits the transmittal of the amended document by the National Assembly to Mr. President for his assent. Others, he said, were revitalisation of polytechnics and colleges of education, renegotiation of the 2010 agreements, saying that government is committed to the revitalisation of facilities in its public tertiary institutions. The minister also said that the government had directed the Minister of Finance to source for additional funding to the tune of N30 billion for the purpose, with particular reference to polytechnics and colleges of education. â€œAlso for state owned polytechnics; the National Board for Technical Education has been directed to strengthen its regulatory mechanism including developing a new template for accreditation to address observed weaknesses. â€œAnd to ensure that proprietors of polytechnics including states and private owners meet their obligations to their staff. â€œAgain as a demonstration of Governmentâ€™s commitment to continuous dialogue with the staff unions, the ministry will provide alternative funding for the stalled renegotiations in the polytechnics sub- sector. â€œThe National Board for Technical Education and the National Commission for Colleges of Education have also been directed to ensure compliance with the approved schedules of meetings with their respective Unions,â€™â€™ he said. Similarly, Adamu noted that the government team had reached agreement with ASUU, while hoping that academic activities will also resume in universitiesâ€™ campuses across the country without further delay. He, however, commended the Colleges of Education Academic Staff Union (COEASU) for calling off its strike to allow the students in colleges of education get back to academic activities.